Should the RN be next? Hi, I know this topic has been discussed before but that was quite a long time ago and tbh I was more interested in the poll than anything else, so a new thread it had to be. I'll be upfront here and say I am from the UK and like many who live in this country am rightly proud of our maritime history, so I obviously have a vested national interest in seeing the Royal Navy appearing in WoWs as something more than a single tier 6 Premium BB. However I also did not have an issue with this game starting out with the USN ans IJN, after all a large portion of this games ships are from the WWII era and the biggest naval engagements of that time were between the US and Japanese fleets, so it made sense that those 2 navies feature first. 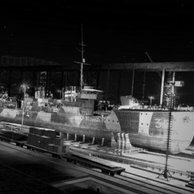 I did feel that the decision to bring the Russian and German navies in next was a purely commercial one was a somewhat disheartening one as it seemed the accountants at WG were calling the shots not the creative teams, since honestly there were far more diverse and historically relevant navies in the world than the Russian one for the time period of this game (France and Italy as well as the RN all spring to mind). But I took solace in the fact that surely after the RU and German trees the RN would be next. Then came the news on the new Pan-Asian premiums (with talk of a full tech-tree) and it got me worried, are WG planning to do the same again, give in to the accountants and produce another tech tree just to try and sell the game to a specific region before implementing the RN tree. While it can be argued that it makes commercial sense to try and pander to presumed national prejudices of certain regions (like the idea the RU players will only play a game that features RU ships), from a historical point of view it makes no sense at all. For the time period that this game covers (the first half of the 20th Century) the RN was the largest and most powerful navy in the world, even by the end of WWII when that position had been taken by the US it was still a force to be reckoned with (a bit sad when you look at what it is today), so a Naval Warfare game of this period that doesn't properly represent the RN is a bit of contradiction in terms. Now before you all start pointing out that I am criticising WG for pandering to national interests when I am clearly affected by such a national interest myself being British, I'd like to point out (as already mentioned) I had no issues with the USN and IJN coming first, neither do I have any issue with the German Navy being next, and if I am really honest I wouldn't bat an eyelid at the French or Italian navies as those navies all played an major historical role in the time period the game covers. But surely a navy of the size and historical importance of the RN deserve more than 1 tier 6 BB by now, you can't tell me it is hard for them to have put either a Cruiser or Battleship line together by now. I decided to put 4 questions (instead of 2) as to try and differentiate between what players from inside and outside the UK to try an eliminate as much as possible any nationalistic bias (or at least put it on display more openly). I've been playing the Belfast a lot lately, great ship, just unlocked my fourth skill tier and bought the Inertia Fuse perk. My question is, when and where should I use HE? I've been testing out both AP and HE shells on targets and I'm not entirely sure which is better and for what situation. On the one hand, AP shells should do more damage, if they are able to penetrate, generally speaking that's either up close or from plunging fire (is there a useful chart to show the distances you need to be over/under in order not to bounce stuff?). Not to mention citadel hits which are always nice to get. However with the penetrating HE shells (plus the Demo Expert in combo) while I may not penetrate, I am nearly always causing a good amount of damage, plus killing off modules and sometimes causing a fire which is equally good. Then there's the question of what I should be targeting (battleships I generally spam HE at, but I've also gotten good damage when I get plunging fire on them with AP, would HE be more consistent though?) I'm going to have a look for a damage indicator mod to see what differences there are myself. However given what I've said above, plus the general capabilities of the Belfast's AP and firing arcs, what would you advise should be my go-to ammunition for each ship, and at what range? Thanks. Sneak peek at the new ships upcoming! More incoming! Stay tuned! [UK Royal Navy] River Class patrol vessel.